Mary Ann Schneider is my father's mother. 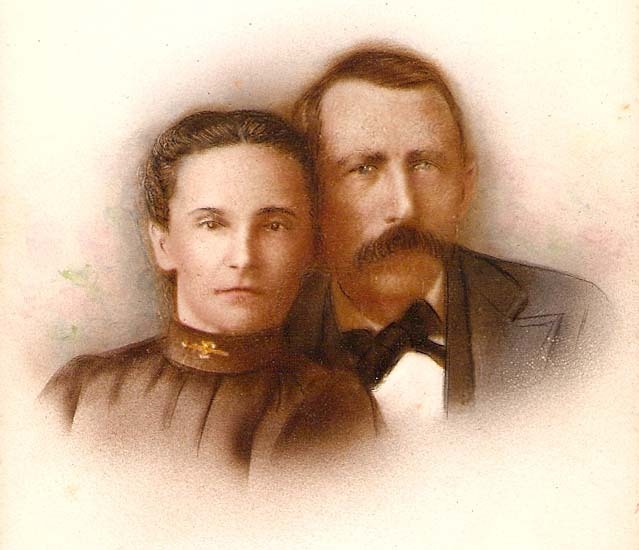 My Grandmother Mary Ann Schneider Feldhaus with her husband Henry. She was still alive when her husband died in 1931, but had passed on before I was born eary in 1937. 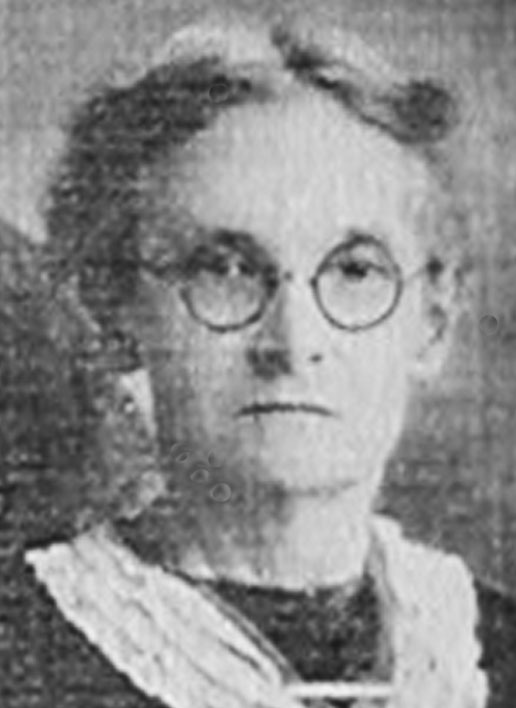 She died in 1934 at 69 years of age. The picture to the right above of Henry Jr. and Mary Ann and the picture below were given to me by Ann Feldhaus Boulie's daughter Clara who obtained them from Clara Feldhaus. This picture was taken sometime during 1896. 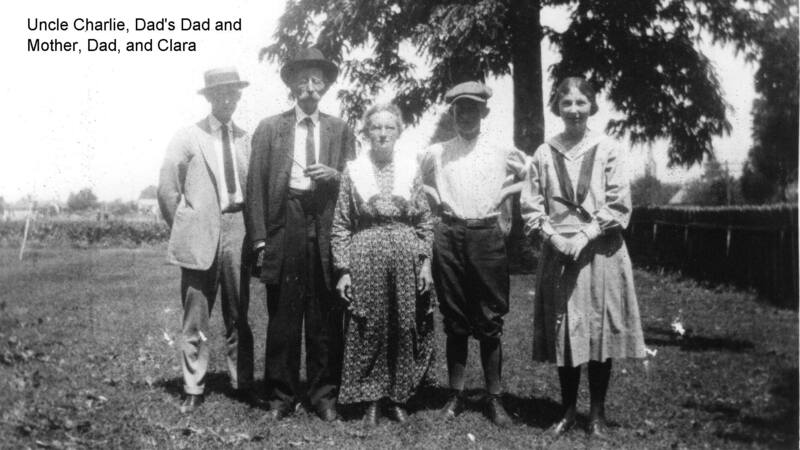 Joe Schneider, Mary Ann, Henry Bernard Jr., Charlie, and Lottie Schneider, Joseph's wife. You can see more pictures of Joseph and his wife Lottie on Joseph Peter Schneider's web page. This picture was probaby taken about June of 1917 when Charlie registered for the draft and the war was well under way having started in 1914. Notice the American flag. 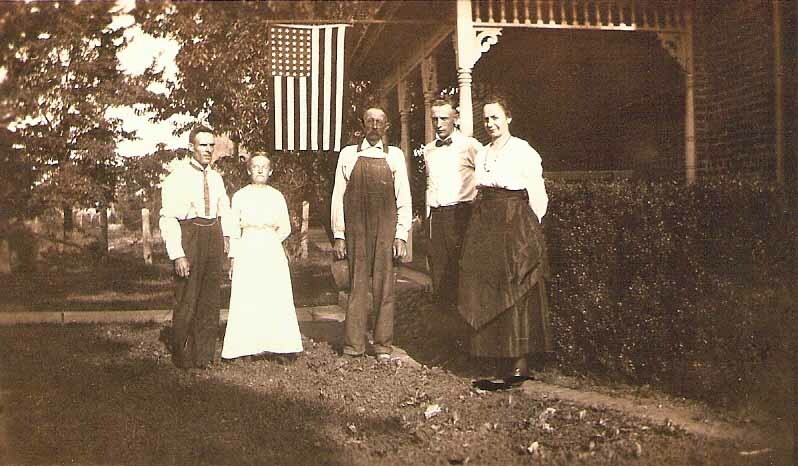 Germany was the aggressor in WWI and this was a German family showing their allegance to their adopted Country. The war ended in November of 1918. Grandpa Feldhaus' funeral April of 1931. 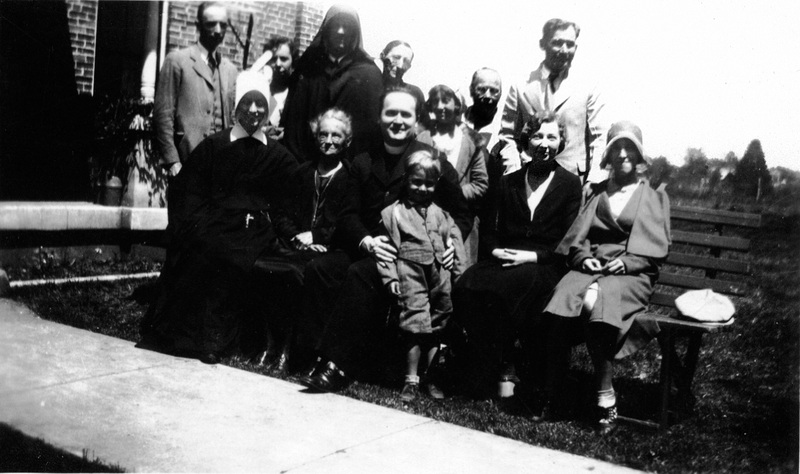 Front Row: Aunt Rose, Dad's Mother Mary Feldhaus, Priest, George Boulie, Aunt Clara, and Sis Boulie. 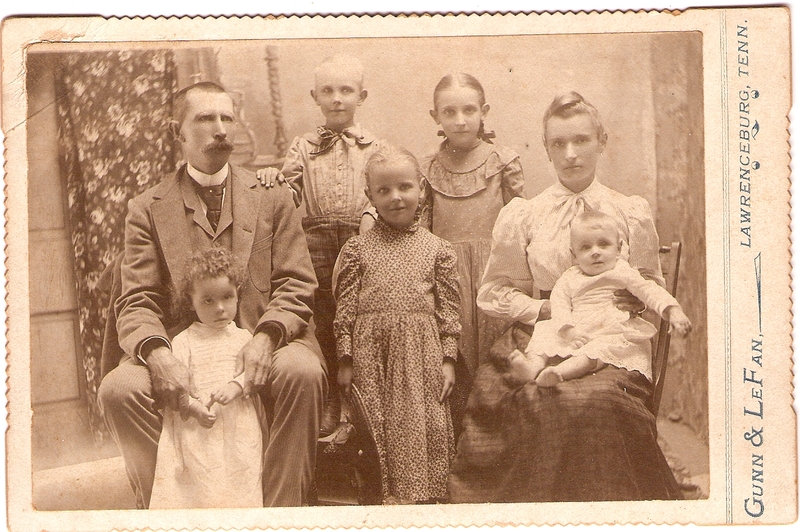 Back Row: Uncle Charlie, Aunt Ann, Dad wearing Aunt Rose's extra habit, Aunt Cate, Josephine Boulie, Anna Feldhaus Sutter, and her son Alfonso.